Наиболее высокая частота приступов подагры отмечается в весенне-летний период, особенно при значительных колебаниях температуры между ближайшими днями. Park KY, Kim HJ, Ahn HS, Yim SY, Jun JB. Semin Arthritis Rheum. 2017 May 20. Association between acute gouty arthritis and meteorological factors: An ecological study using a systematic review and meta-analysis. 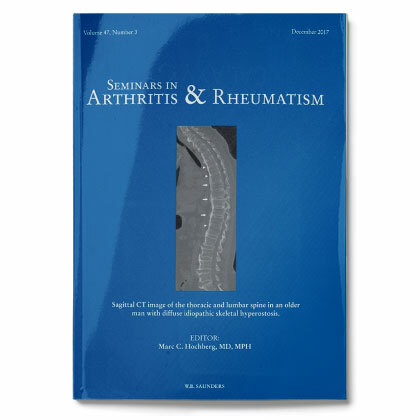 The aims of this study were as follows: (1) to analyze the literature systematically regarding the seasonal and monthly variation of the occurrence of episodes of acute gouty arthritis, and (2) to investigate the relationship between the occurrence of episodes of acute gouty arthritis and meteorological parameters. The present authors systematically reviewed databases for articles published before November 2015. Studies with quantitative data on episodes of acute gouty arthritis by months and/or seasons were included. Meteorological data such as the highest temperature, lowest temperature, diurnal temperature range, change in mean temperature between neighboring days, relative humidity and wind speed for the geographic place(s), and study period where and when each study took place were obtained from meteorological websites. Ten studies published between 1920 and 2015 were included. A meta-analysis by season showed that acute gouty arthritis occurred significantly more frequently in spring than in other seasons. Analysis by month showed an increase in episodes of acute gouty arthritis from March to July, being the highest in July. The trend reversed, and episodes of acute gouty arthritis started decreasing from July to September, being the lowest in September. The change in mean temperature between neighboring days was the only meteorological parameter that was significantly correlated with the number of monthly episodes of acute gouty arthritis. Acute gouty arthritis seems to develop more frequently during the period in which the temperature increases significantly between neighboring days: spring by season and between March and July by month in the northern hemisphere.